The foreign-language Academy Award winner, In a Better World deserves its kudos. A beautifully shot film, the drama contrasts stunning visuals with the harshness of aggression, both so prevalent in the world. The movie follows two families, both dealing with inner and outer tragedies. 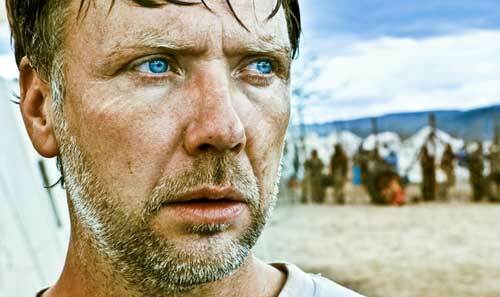 Anton (Mikael Persbrandt) is a doctor who splits his time between treating the poor and abused in Africa and dealing with his two young sons and estranged wife at home. His eldest son Elias (Markus Rygaard) is being bullied at school but gets some unexpected protection from new kid Christian (William Johnk Nielsen), who in turn is filled with anger about his mother’s recent death from cancer. Trying to keep peace, Anton doesn’t react when a man strikes him, but his inaction to the bullying is interpreted as weakness by the boys and they go out to seek their own revenge. Meanwhile, back in Africa, Anton is faced with an even bigger challenge when he must decide whether to help the terrorist who has been slashing open the bellies of pregnant women, the women Anton has been trying to save. The stories examine aggression on every level, from playground bullies to adult bullies who fight with fists and guns. And all this terror is cushioned in images of lazy days flying a kite in a field of wheat, blue skies with white fluffy clouds, calm ocean swaying smoothly. And director Susanne Bier paces the film deliberately, gliding through the everyday scenes and punctuating the movie with the heightened aggression scenes. Morten Soborg’s gorgeous cinematography looks fabulous in Blu-ray’s high-definition video. The blues of the sea, the yellow sand in Africa, the reds of the blood, plus the smaller details of white maggots in a wound — it’s all accentuated on this disc. The audio is equally stunning, with the great soundtrack by Johan Soderqvist easing out of the speakers and every note clear. Sony has coupled the movie with a small but good special features package. The hightlight is an interview with Bier, in which she talks about the genesis of the story, her views on message movies, and her desire for this film to make audiences ask questions. She succeeded. We also hear from Bier in an interesting commentary with editor Pernille Bech Christensen. The two have worked together on a number of movies, and their conversation about this work is a great lesson to filmmakers. They tell us about the weight of scenes, the flow of story, the challenges of locations, and more. Finally, the disc offers seven deleted scenes that are also worth a watch. Each is a fully realized scene, adding information about the characters’ relationships and feelings and giving us a bigger picture of the story. Like many of Sony’s other smaller film releases, In a Better World is only available as a Blu-ray/DVD combo pack, but this is a movie that’s worthy of the high-definition upgrade.